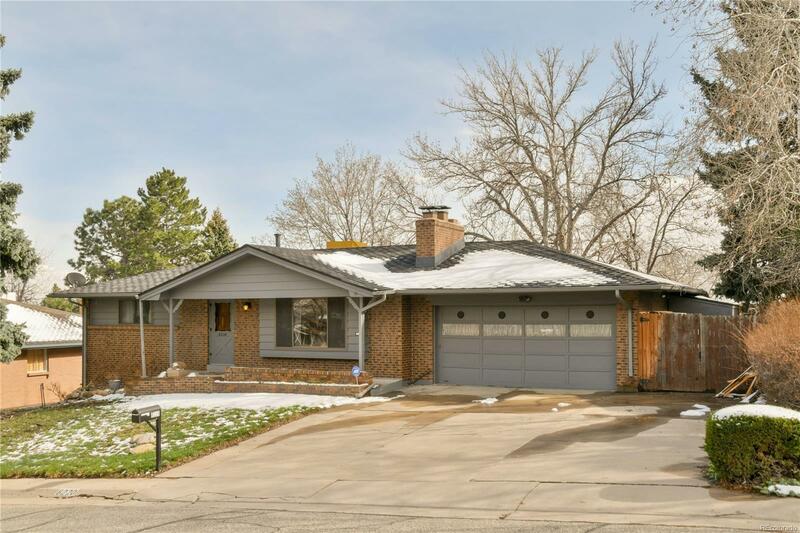 Remodeled ranch nestled in a coveted Arvada neighborhood. Custom remodeled kitchen exudes luxury & class. Stylish finishes w quartz counters, full subway tile backsplash & contemporary Kitchenaid appliance package w induction cooktop & wine rack. Full height custom cabinets w slide out pantry cupboard. Plenty of light and views of the city thru the finished & heated sunroom that is hard to come by. Sunroom features exposed brick, new on trend vinyl plank flooring, french doors open to covered patio w hot tub. New wood flooring thru main level w large family room. Remodeled bathroom on main level. Basement is set for your final touches and complete w remodeled bathroom, wet bar, 2 large bedrooms, laundry w utility sink. Large backyard features views of the city, 2 storage sheds & room for garden & play area. 2 car garage has built in tool bench w shelves and is heated. This home is the one you have been looking for w space to live and entertain! Newer windows, water heater, and roof.